Please note that the content of this book primarily consists of articles available from Wikipedia or other free sources online. 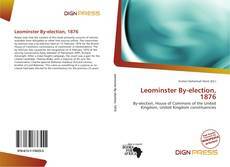 The Leominster by-election was a by-election held on 15 February 1876 for the British House of Commons constituency of Leominster in Herefordshire. The by-election was caused by the resignation on 8 February 1876 of the serving Conservative Party Member of Parliament (MP), Richard Arkwright. 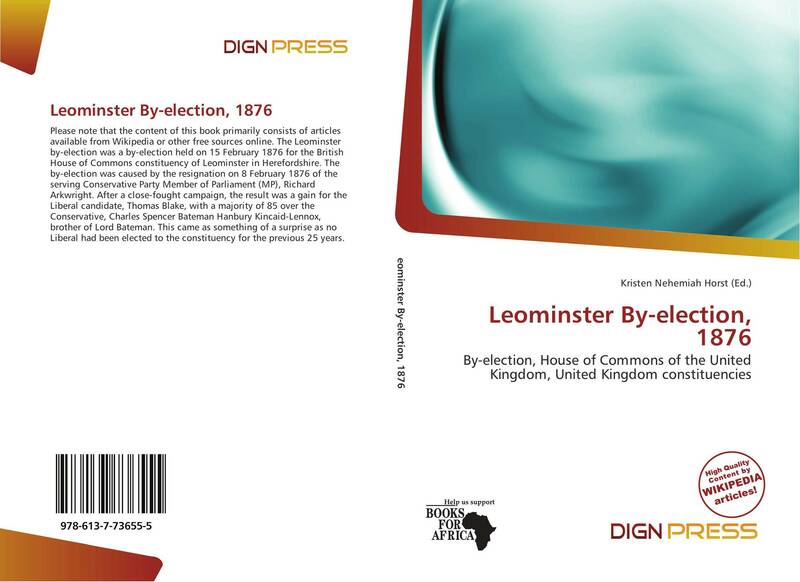 After a close-fought campaign, the result was a gain for the Liberal candidate, Thomas Blake, with a majority of 85 over the Conservative, Charles Spencer Bateman Hanbury Kincaid-Lennox, brother of Lord Bateman. This came as something of a surprise as no Liberal had been elected to the constituency for the previous 25 years.